Stonebook Lodge is convenient to an abundance of outdoor adventures in the Great Smoky Mountains, including hiking, whitewater rafting and kayaking, ziplining, waterfalls, scenic drives, fishing, golfing, horseback riding, Lake Fontana, boating, spas and massage, paddleboarding, river tubing, and wineries and breweries. Our front desk agents are available 24/7 to help guide you to the best adventures in the Blue Ridge and Great Smoky Mountains! 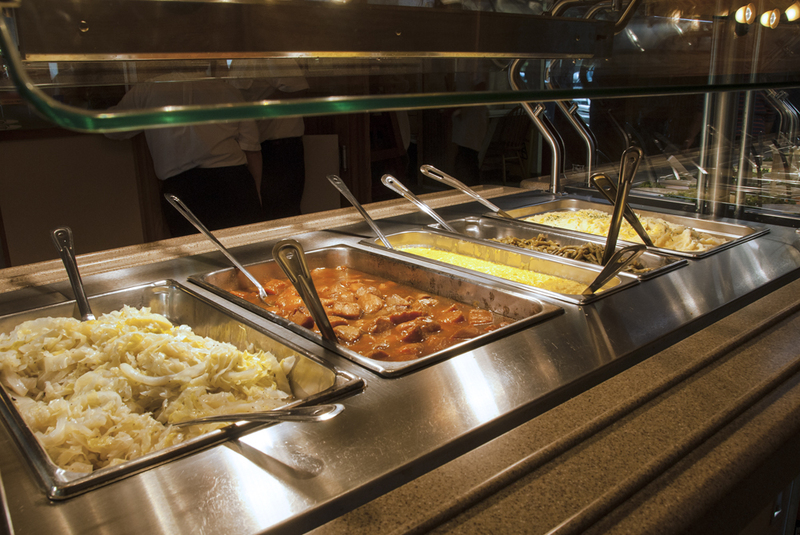 When you stay at the Stonebrook Lodge in Cherokee, you'll be in the midst of some of the best recreation and attractions that the North Carolina Mountains have to offer! In addition to being the gateway to the Great Smoky Mountains National Park and at the southern entrance to the Blue Ridge Parkway, you can hike many miles of trails with breathtaking views, picnic beside streams and waterfalls, and observe the Park's wildlife. Harrah's Cherokee Casino and Event Center is just across the street from Stonebrook Lodge. Harrah's offers 4,000 of your favorite slots and over 134 traditional table games including blackjack, roulette and craps. Horseback Riding — Rentals are available for guided riding on designated trails in the Smokies, including Smokemont Riding Stables — in the Great Smoky Mountains National Park, just north of Cherokee. Great Smoky Mountain Railroad — Enjoy a scenic excursion train ride through the Great Smoky Mountains with specialty excursions such as the Polar Express, BBQ and Brews, and Charlie Brown's Pumpkin Patch. Golf — A spectacular course, the Sequoyah National course in Cherokee is just minutes away. Cherokee Shopping - With many shops offering genuine native American art and crafts, Cherokee offers a unique shopping experience. Come relax and cool off on a hot summer day on the gently flowing Oconaluftee River while enjoying the scenic beauty of the Smoky Mountains. While tubing take a moment to enjoy the swimming holes and a trip off the rope swing. 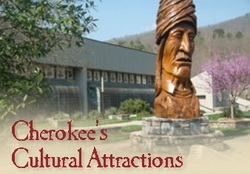 Several attractions including the outdoor drama "Unto These Hills" presented evenings June through August; Oconaluftee Indian Village, recreating authentic Indian lifestyles as practiced over 200 years ago; and the Museum of the Cherokee Indian. Some of the best fishing in the country is along the waterways of Cherokee, North Carolina. Regular stocking of the 30 miles of streams on the Cherokee Indian Reservation provide both food and fun for serious and amateur anglers. The Cherokee Fish and Game Management each year adds nearly 400,000 trout to an existing population of fish swimming in the crystal clear mountain waters.